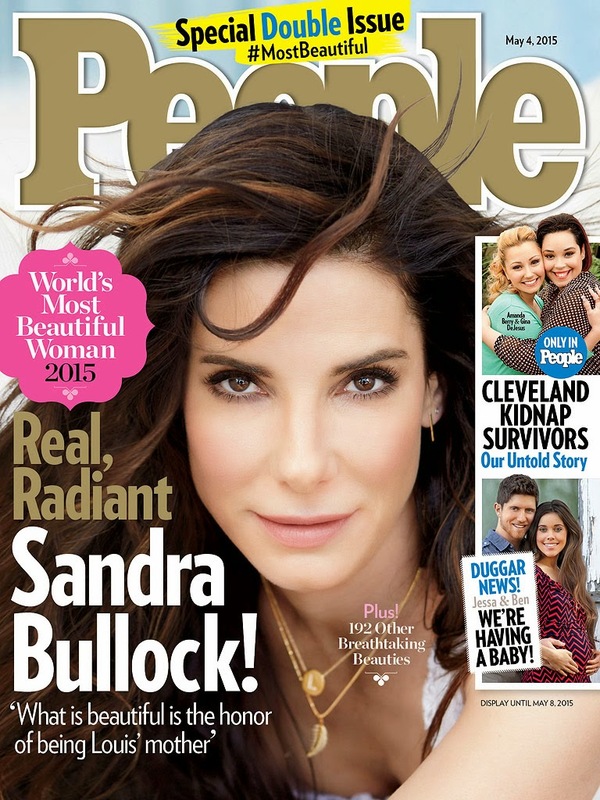 Sandra Bullock has been named PEOPLE's World's Most Beautiful Woman for 2015! Read more from the interview below! Her main focus right now is being a great mom to her 5-year-old son, Louis, which constantly reminds her what's most important. "Real beauty is quiet. Especially in this town, it's just so hard not to say, 'Oh, I need to look like that,' " she explains. "No, be a good person, be a good mom, do a good job with the lunch, let someone cut in front of you who looks like they're in a bigger hurry. The people I find most beautiful are the ones who aren't trying." The gorgeous actress doesn't take the title all that seriously though, saying that she laughed when she heard the announcement. "I just said, 'That's ridiculous,' " she tells PEOPLE. "I've told no one." Sandra will be heard in the upcoming animated film, Minions, as a super villain. I absolutely love her. She may not really care about the title, and as legendary as she is, she doesn't need to. However, I admire her and her work so much, and she really is a beautiful woman. She seems to be beautiful on the inside too! What do you think of Sandra being named PEOPLE's World's Most Beautiful Woman for this year?